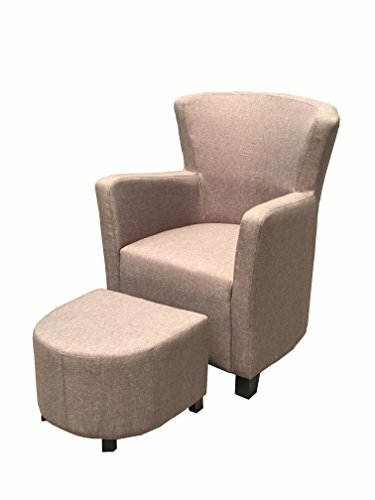 Cloth arm chair with matching ottoman. Chair size:29.5 X 29 X 36" ottoman size:18.5 X 18.5 X 14" Basic brown in coloring. Great for the family room, entrance or in your bedroom.